Windows 81. Preview was released yesterday, the new Internet Explorer 11 preview too has given to users for testing. Microsoft Internet Explorer 11 has reached its preview mode and will be released with Windows 8.1 later this year. Microsoft has said that the Internet Explorer 11 will beat all the modern browsers like chrome, Firefox in performance and in Rendering the page. 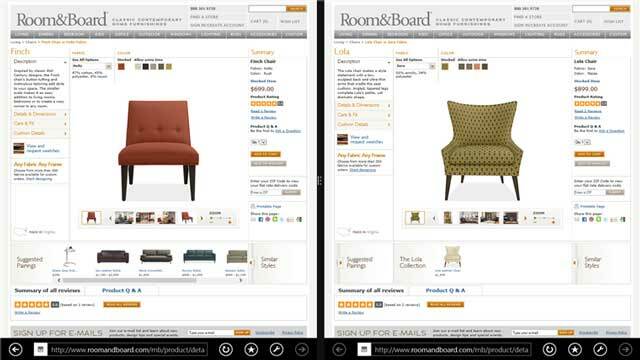 IE 11 is built with modern UI and will focus tablet devices more than IE 10. Internet Explorer 10 has faced the Big change when coming with Windows 8. Now the Windows 8.1 will be released with fixes, fine tuning and new features over Windows 8. Likewise, Internet Explorer 11 will come with improvements, fixes and improved features over its predecessor “IE 10”. In Windows 8, Modern UI the tabs are hidden, and you have to right-click to see them before choose anyone. The IE team has changed that behaviour now, introduces stylish design that displays URL Address bar and Tabs at the bottom permanently. The tabs are relatively small than before and looks very comfortable to use. Also, you can open more than 100 tabs at once in IE 11 without degrading the performance and draining the battery power. Since the browser allocates the memory intelligently, that is active tabs are in the current memory when you click the passive tab, the browser will instantly switch back the memory to that . Hence that you can open as many as tabs in a single window of Internet Explorer 11. In IE 10 when you pin sites in the Start screen, the tile can only show the icon of the pinned site. But in IE 11, the pinned sites work as Live tiles. Yes, like other live tiles, your pinned sites will display the live updates of the blog or site. This live tile feature is useful to the blogs and news sites that update the content regularly. IE 11 supports the WebGL – an Open Graphics standard that supports 3D Graphics in browsers. Except IE, the major browsers like chrome, Safari, Firefox support the WebGL Graphics standard. Now IE users too can experience this open standard 3D Graphics feature. Although the Safari and opera disabled this feature by default because of the security concerns. IE11 scans for unsafe WebGL content and implements a software-based renderer to complement the GPU. With Windows, graphics subsystem failures are not fatal, and WebGL continues to run. In Windows 8.1 with IE 11, you can open the IE11 and windows 8 Modern apps in the same window. That is if you open the mail app from IE, you can browse websites and read mails at the same time in same window. Before that IE10 will open the mail app in separate window. In IE 11, you can manage your favorite websites without coming to desktop mode using the favorite center feature. Also you can open many Windows in IE 11 like traditional of opening new windows for browsing sites. You have to install the Windows 8.1 Preview from the Windows Store to try IE11. Info: Microsoft will release the Internet explorer11 for Windows 7 users.